The Bosworth Company understands that even a minor plumbing problem can cause a major disruption to your daily routine. Your plumbing and sewer system must be working properly to keep your schedule “flowing!” Bosworth is the preferred company in Midland, Texas for residential services. 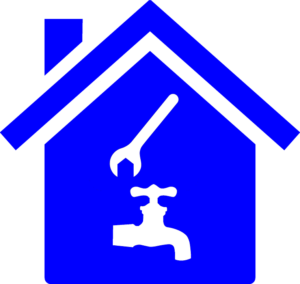 The licensed plumbers at The Bosworth Company can help with all of your household plumbing and sewer system needs. We also take care of any commerical plumbing issues that you may have. HAVE A PLUMBING NEED? THE BOSWORTH COMPANY IS WORTH THE CALL! No job is too large or too small for Bosworth. From leaky faucets to slab leaks, we fix all kinds of plumbing problems! That small leak or faucet replacement might be a job you would consider tackling yourself, but you can rest easy knowing that Bosworth is worth the call! Save yourself the time, cost and multiple trips to the big box supply store. Call Bosworth to diagnose the problem and trust our experienced plumbing technicians to not only fix your problem, but to give you reliable information and professional service. Hot water heaters are always a hot topic when the water runs cold. The Bosworth Company will replace an old, inefficient, hot water heater and advise you on the water heating system that is the best fit for your household. We can even save you up to 50% in heating costs with a Noritz tankless water heater! Problems with your home seem to come at the worst times! Unfortunately, homeowners may experience clogged drains and clogged toilets at Christmastime, or a slab leak when the entire family is in town. Fortunately, Bosworth has been serving the Permian Basin for over 65 years and will be ready 24/7, 7 days a week to fix any plumbing problem; pipe clogs, pipe leaks, broken water heater, etc. and make your home comfortable again. One of our priorities is minimizing damage and inconvenience for our customers. Bosworth offers Optimum Service Plans (Spring & Fall) for preventative maintenance and peace of mind. Our experienced technicians can keep your plumbing systems working efficiently and effectively by eliminating sewer buildup, checking connections, and maintaining systems before they cause costly damage. Our licensed plumbers will address a simple leaking faucet, clogged drain or toilet with the same urgency and professionalism as taking care of a collapsed main sewer line. You will have peace of mind knowing our experienced technicians and proven customer service will provide you with reliable solutions for all of your plumbing needs.